What are the 10 best gold stocks to buy right now? While gold is considered the best investment to hedge a portfolio against a market downturn, it is also among the worst performers when the stock market is hot. By comparison, investing in the stocks of gold mining companies can also provide some exposure to the commodity without quite as much volatility. Aside from buying physical gold, an investor can also buy gold exchange-traded funds, which is a more practical way to have exposure to the gold market, since ETFs have the same properties as ordinary stocks. One thing to keep in mind is that buying gold mining shares is not the same as investing in gold mining. Even though the performance of gold miners is co-related to the price of bullion, there are many other factors to keep in mind. A gold mining company has its own financial position and assets, which affect its performance and stock price. So, if an investor considers investing in gold miners, they have to pick the right stocks, i.e. stocks in companies that can sail through periods of lower demand for the yellow metal and have enough reserves to be profitable for years to come. One way to identify the best stocks to invest in is to look at the hedge fund sentiment surrounding them. Here’s where our research comes in handy. At Insider Monkey we track over 670 hedge funds and other large institutional investors and analyze their quarterly 13F filings to identify their collective sentiment towards thousands of stocks. We then use the data to identify companies that are part of our investment strategy, which has generated returns of over 45% since February 2016. We share the stock picks from our investment strategy with our premium subscribers, who can use them to beat the market. For example, the stocks we shared in February 2017, managed to outperform the S&P 500 ETF (SPY) by more than five percentage points over the following three months (see more details about our strategy here). Since we can identify what stocks are the most popular among hedge funds, we have selected the 10 best gold stocks, based on that data. The majority of these stocks are gold miners and the good news is that the industry has underperformed the broader market and was overlooked amid the recent rally. However, gold has nonetheless been advancing this year, being 7.14% in the green year-to-date. Moreover, recent trends suggest that the demand for gold should be strong. Based on recent economic data, it is expected that the Federal Reserve will change its stance on interest rates and is likely to keep them at low levels for longer than was previously expected. The U.S dollar is also weakening, which is attributed to the GOP’s inability to repeal and replace the Affordable Care Act. The issues faced by the GOP with the new healthcare bill provides concerns about the new White House administration’s ability to pass other laws, particularly those aimed at taxes and regulations. 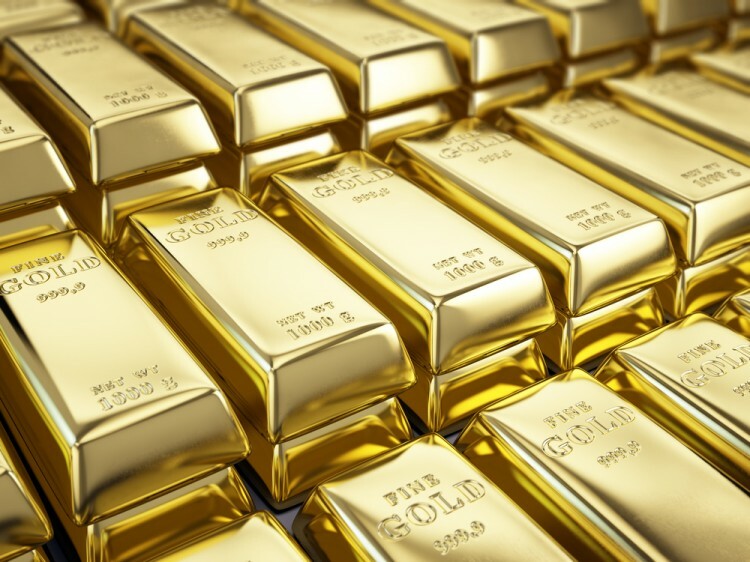 With this in mind, let’s take a closer look at the 10 best gold stocks to buy right now.